Liverpool manager Jurgen Klopp will not hit the panic button this weekend despite his side's run of three games without a win, according to one ex-Red. Klopp's side failed to record a meaningful shot on target against Napoli as they were beaten 1-0 in Italy, their second defeat in a week. But Nick Tanner, who played for Liverpool between 1988 and 1994, believes any reaction to those results will come from the players in the starting line-up rather than from any tinkering on the manager's part. “Everybody had an off day didn’t they? We all have off days," Tanner told Ian Stone's Comedy Breakfast. "I thought I was going to wake up this morning and it was the end of the world. "We were out of Europe, in the relegation zone… I can’t believe the reaction from the fans and the media. "As soon as they went back to the studio on TV they were talking about three games without a win! As it's #WorldAnimalDay today, we have created our own Animal XI. "Hang on - the first game was the Carabao Cup and two reserve sides, the game against Chelsea on Saturday was a brilliant advert for football from both sides and last night was a blip and it’s all doom and gloom again! I can’t believe it. “I don’t think he will [make changes] because against Man City he seems to have the trump card. 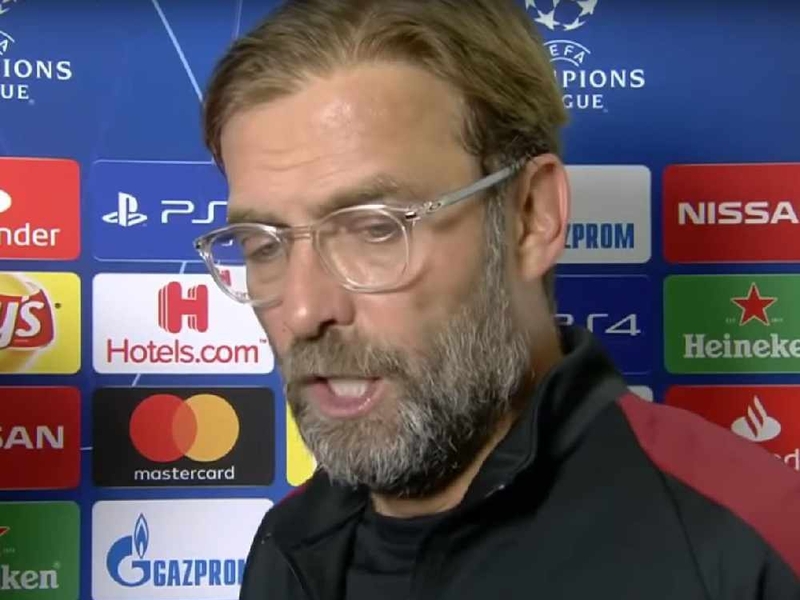 "Every time they play them, Klopp has one over on them, whether they like it or not. So he’s not going to drastically change anything." Klopp is likely to be forced into at least one change after Naby Keita was taken off on a stretcher with back pain during the first half. The midfielder was taken to hospital for routine checks but it is not yet known how much time, if any, he might miss. However, Tanner reckons that even before he went off, Keita was showing signs that everything was not right. "I couldn’t believe the amount of passes we gave away," Tanner added. "Keita, I know he went off injured, but I thought for 15 minutes that was probably the worst I’ve ever seen anybody play in a Liverpool shirt. "Whether something was wrong, whether he had a bad back to start with… but everything he touched, he lost it or he gave it away. 🎟️ | LOVE SPORT RADIO is giving you the chance to win a pair of tickets to watch England vs New Zealand later this year. For your chance to see the best rugby league players in the world at Anfield, Elland Road or the KCOM Stadium. "I was thinking something had gone wrong, he was like a double agent playing for us! It’ll be a totally different game on Sunday. "Put that one to the back of your mind and just concentrate on going forward because you can’t keep going back all the time." Tanner also said: "We never ever give the other team any credit. We never turn around and say ‘what a great performance from the other manager’. "Ancelotti basically stopped Liverpool from playing and in the analysis after the game they were saying Liverpool played a different way. "I don’t think they played a different way, they just weren’t allowed to play the way they normally play. "They didn’t change their formation to three at the back with wing-backs the way Mourinho does. "They played the same but they couldn’t breakdown a half-decent team. "It’s overreaction from the press and then the fans get on everybody’s back - and you’re thinking ‘two games ago, you thought they were the best thing since sliced bread’." Catch Ian Stone's Comedy Breakfast every weekday morning from 6.30am until 10.30am for more great sporting exclusives.